I expect a bounce back season from both Cam Newton and the Panthers this season. Carolina is switching to a more short passing orchestrated offense to alleviate the hits Newton has suffered and also reduce his running responsibilities. The draft pick of running back Christian McCaffrey will help in both these areas. Look for Greg Olsen to put up his usual good numbers in this style of offense. I do have my concerns that the big receivers of Kelvin Benjamin and Devin Funchess (6’5/6’4 respectively) will adapt to this short passing game. Luke Kuechly will again ignite the defense at linebacker and he will play at an All-Pro level again this year. The secondary struggled at times last season relying on rookies James Bradberry and Daryl Worley to replace Josh Norman last year. Like all rookies they struggled, but I see the potential in their second year that will shore up the area that cost Carolina a lot of games last year. 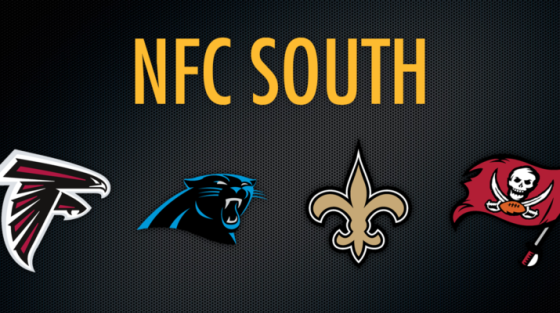 With that issue resolved, the Panthers will be back at the top of this division. Atlanta will have to get over that historic Super Bowl collapse last season. Super Bowl losers have historically had problems in the past, and losing the way Atlanta did could cause this team a difficult season. Judging strictly off of the on-field talent, there is more than enough for Atlanta to make another postseason run. Last season’s Most Valuable Player Matt Ryan will run the offense again and look for that connection to Julio Jones and Mohamed Sanu to again make this offense hard to stop. Devin Coleman and Devonata Freeman are a very good one-two punch at running back, and the offensive line led by Alex Mack and Ryan Schraeder is as good as any in the league. Dan Quinn has developed a defense similar to the one he had in Seattle with a good young secondary. Keanu Neal is similar to Kam Chancellor at safety and while there still may be growing pains, they will make plays. Of course, Vic Beasley Jr. will continue to be a premiere pass rusher and look for him to be in the running for Defensive Player of the Year (he was my pick last year at season’s end). Tampa Bay has talent, but they play in a difficult division which I believe will have them coming up just short of the playoffs again this year. Turnovers have been a problem for quarterback Jameis Winston, and his turnovers increased from his rookie year to last season. He went from 15 interceptions to 18 and three fumbles to six. This has to be corrected if the Buccaneers have any shot at the playoffs. The other parts of this young core are running back Doug Martin and receiver Mike Evans. Doug Martin has his off- the-field issues and will be on suspension when the season starts. Martin is very good when he is on the field, and Mike Evans is routinely overlooked when the top receivers are discussed. Evans presence will free up the field for DeSean Jackson to make big plays down the field. I expect Jackson to have lesser numbers but will be dangerous when they look to him. Gerald McCoy (defensive tackle) and Lavonte David (middle linebacker) lead this team up the middle on defense, and the recent acquisition of surprise Denver Broncos cut T.J. Ward at safety only enhances the middle of their defense. I don’t know what Brent Grimes has left at corner and the rest of the secondary has questions. Tampa Bay could take the next step; but, a lot depends on Jameis Winston’s turnover differential. The Saints offense is going to be spectacular yet again this year with Drew Brees at the helm, but the departure of Brandin Cooks will hurt this offense in to some degree. I don’t think Adrian Peterson has much left in the tank and look for Mark Ingram to be the primary back. I wouldn’t be surprised if Peterson is cut before year’s end. Manti Te’o did play well his time in San Diego, and he will help this defense that really struggled last year. I am really unsure about this secondary however. Second year corner P.J. Williams will need to up his game big time, and this year’s second round pick Marcus Williams will have to fill in beside Kenny Vaccaro. I really like Marshon Lattimore (2017 first round pick) at corner. While I think Marshon Lattimore will be very good, rookie corners still get burnt at times before they develop their craft. The secondary is just not good enough, and Drew Brees will have another wasted season.